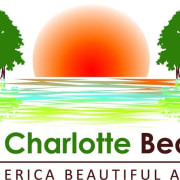 Our organization is Keep Charlotte Beautiful Inc. (KCB), a Keep America Beautiful Affiliate whose mission is to inspire and educate people to take action every day to improve and beautify Charlotte County. Our pillars are ending littering, improving recycling, community greening, and reducing waste. Our projects are varied. We assist people in doing cleanups, educate students using Waste in Place and the Recycle Bowl, encourage people and businesses to skip the straw, and we partner with organizations and local citizens to help green their communities. Our most recent partnership is with Winter Garden Presbyterian Church. They are installing a community garden and food forest to help with the on property food bank and to solve the problem of food insecurity in our community. Would you recommend KEEP CHARLOTTE BEAUTIFUL INC?